Sanjay Manjrekar, an international cricketer-turned-commentator, recently released his autobiography titled Imperfect. The book is not an attempt to glorify his days as a cricketer or commentator. It starts with explaining the impact of his father, Vijay Manjrekar, a former Test cricketer, on his life. Manjrekar also reveals a lot of inside stories about cricket in Mumbai, international cricket, and his time in the commentary box. His flaws as a batsman as well as a person are portrayed perfectly. The right-hander was one of the most technically sound batsmen in world cricket. He played well on pitches that aided pace and bounce. He was given the title 'Mr.Perfect' and 'Mr. Different' by Sachin Tendulkar because he always strived for perfection and worked on tiny technical flaws. However, he managed to play only 111 international matches. 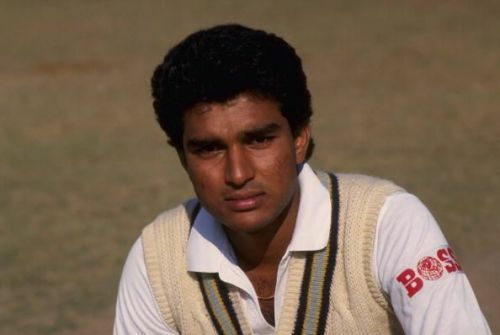 Manjrekar had a dream start to his Test career, scoring a stunning 108 against a West Indies side that fielded Malcolm Marshall, Curtly Ambrose, Ian Bishop and Courtney Walsh, in just his third Test. The former Mumbai Ranji team captain continued his rich vein of form as he scored 569 runs at an exceptional average of 94.83 against a strong Pakistan side on their home turf in the subsequent series. He hit two centuries and three fifties, including a career-best 218 against the likes of Imran Khan, Wasim Akram, Waqar Younis, and Abdul Qadir. His confidence was sky high after the series in Pakistan but he faded away. Why? 'Imperfect' has all the reasons. The Mumbaikar made 10252 runs in first-class cricket at an excellent average of 55.11. He scored 5175 runs in List A cricket at a healthy average of 45.79. He also captained Mumbai to a Ranji Trophy victory. Even though these were very good achievements, he announced his retirement at the age of 32, an age cricketers normally reach their peak. He even scored a century in his final Ranji Trophy match. While retirement at the time may have seemed like an odd and immature decision, Manjrekar had his reasons. Coming back to the book, it covers much more than just the way in which his career nosedived. It also reveals his relationship with his teammates, other dressing room stories, and life in the commentary box. Let us take a look at some of these stories. Mumbai have a knack for producing great batsmen and Manjrekar explains why they have been so successful. Their mantra: "After you get to fifty, go for a hundred. After the hundred, look for 150. Then a double hundred..."
"Batsmen who didn't get big scores, who threw their wicket away after a fifty or even a hundred, were treated like outcasts. Mumbai didn't care for them. It didn't invest its time and energy in such players," writes Manjrekar. "In the Faisalabad Test, Sachin Tendulkar got a light feather of a touch on the ball as he looked to work it off his hip. It was such a faint edge that no one appealed. Except for Imran Khan, who was at mid-on. The umpire shook his head, but Imran was convinced that there was some bat in that one. He kept asking his players why they didn't hear it." "At the end of the over, Tendulkar and I got together and he said, 'What a guy, What sharp ears.' He knew he had edged it. The wicketkeeper didn't hear it, the umpire didn't hear it, but the man at mid-on did. No one was as focused on the game as Imran was." Manjrekar airs his views on why production companies do not try out non-player commentators. He says Harsha Bhogle did a terrific job in covering the emotions of Tendulkar's farewell Test. Though Bhogle has not played international cricket, he has done an excellent job as a commentator. "I think fans are missing out on possibly great commentators only because production companies these days insist on having former players as commentators". Talent alone won't make you a successful cricketer and Manjrekar's life story is an example of the same. Failures lead to success, but to be successful, you don't have to commit mistakes of your own. Instead, you can learn from those who made mistakes before you. Manjrekar underlines this point, saying, "Having been a sportsperson, I also want young aspiring sportsmen to learn from my career. Like a father said to his son: 'I made twenty mistakes in my life; you'll make twenty new ones.'" 'Imperfect' is a must-read for players as well as fans of the Gentleman's Game. It is brutally honest, candid, transparent and racy.